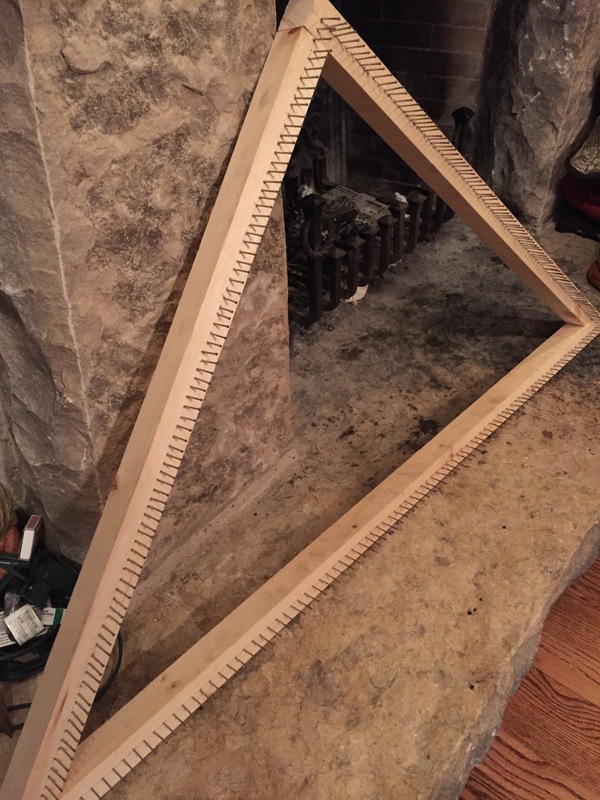 It has been awhile since I posted….let’s see if I remember how to do this! Since my last post in…..let me check…..HOLY CRAP….2016???!!!! Really??? Okay…so since that time sooooo long ago, we have moved from Toronto back to Hamilton, got a new puppy….a Patterdale Terrier named Oberon (who has his own Instagram account that you should check out because he is so bloody cute!) 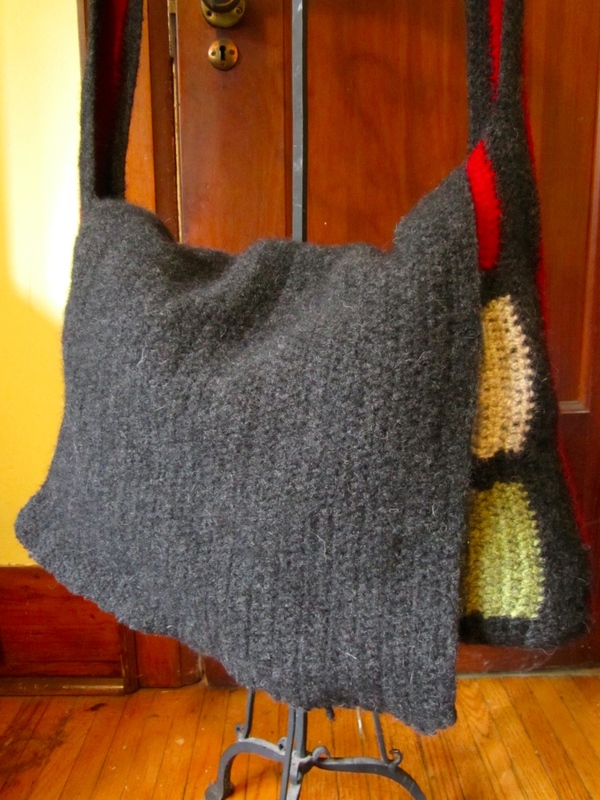 and I have continued with my fibrearts dabbling. It has taken somewhat of a backseat to my work over the past while as I get used to commuting between cities again and unpack our new house…but I still knit and crochet and spin and weave and needle felt (You can see why I call myself a dabbler!) …. and dye wool! 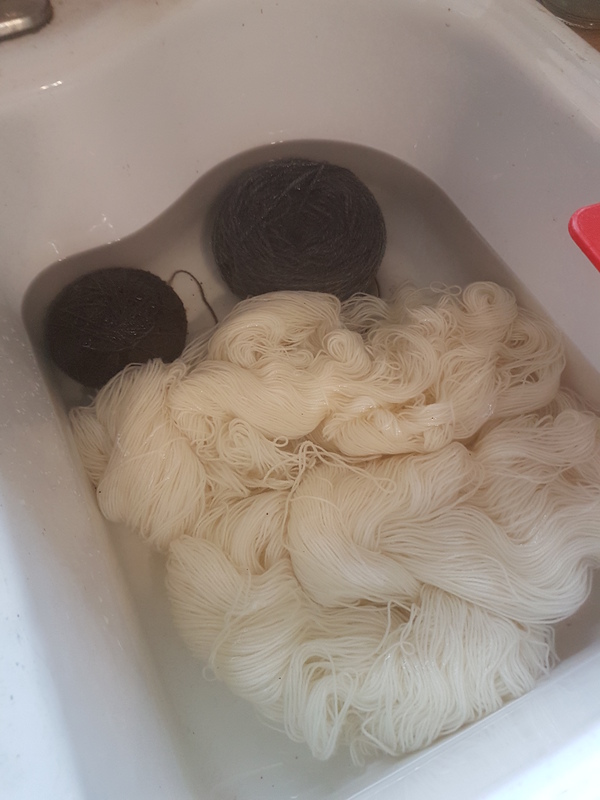 I have dyed skeins and fleece in the past but only a few times and with food coloring to get a sense of how the whole process worked. This time, I have been working with dyes from Greener Shades and experimenting with different approaches. One dyeing technique I tried last week was dyeing a wool ball. I saw it on a youtube channel and thought it would be interesting to try. It was supposed to result in a cool mottled affect that would be dark at one end and lighten as the dye soaked through the layers towards the middle. On hand, I only had a few natural colored skeins so I chose a light brown wool skein to work with and I balled it up manually….which takes so long after using a swift and yarn winder on a regular basis! 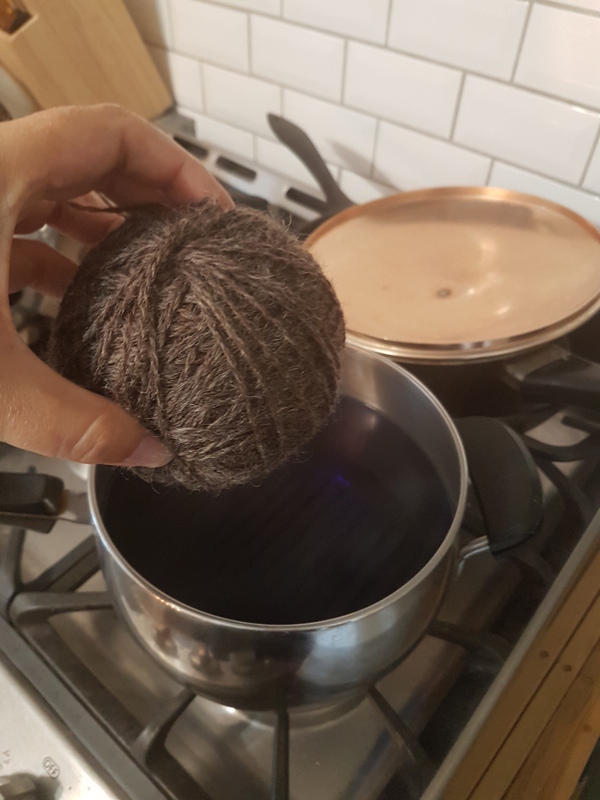 The technique is to simply dye the ball….allowing quite a bit more time than you normally would when dyeing skeins because of the tightness of the wind…the dye needs more time to soak through layers. After soaking the ball, I started with a simple deep blue dye. I left the ball in the dye bath for 20 minutes….then checked it…..20 more minutes….then checked it…..20 more minutes…..You get the picture. I was dyeing other items at the same time so I ended up leaving it in the pot for over an hour. But even after all that time….there was still dye in the water. I could have left it longer….should have actually but I got impatient and removed it, using the remaining blue to dye some leftover raw fleece that I had on hand. I had balled the yarn quite tightly and that obviously affected how deep the dye was able to penetrate. If I were to do this again, I would a) try to wind a bit looser and b) probably leave the ball in the pot for the whole afternoon and go about my business doing other things. I unfortunately didn’t take photos of the next step….but since I wasn’t satisfied with how much it had dyed….I dyed the ball again. I let the ball cool down, and then unwound it halfway so it was wound into two smaller balls that were connected. I dropped one of them into a pot of red dye and the other into a pot of purple dye. Then I left them….for 20 minutes…again and again….same as the first time. I must wind pretty tightly because the dye didn’t penetrate through either ball fully, but it still resulted in an interesting mix of colours. They unfortunately aren’t very sharp and defined but I would still call this experiment a success.